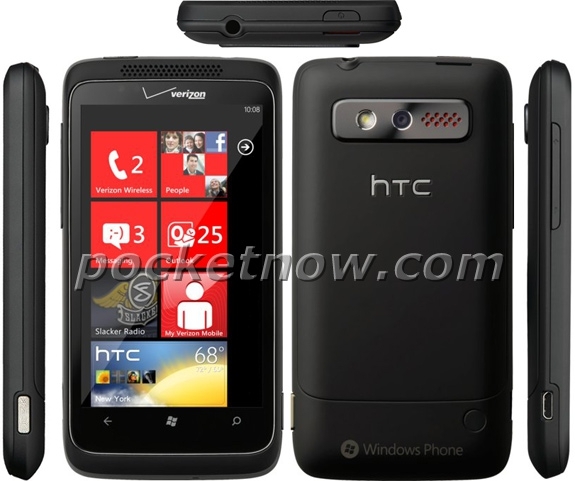 "Like clockwork, here are the first press shots showing Verizon's HTC Trophy (minus the "7") from all angles." The rumored May 12th launch date for the HTC Trophy is rapidly approaching and as clockwork, the official press shots have been leaked. Looks cheap compared to phones like the HD7 and some of Verizon's other phones. It is pretty plain looking. No kick stand too? Too bad considering its multimedia capabilities.